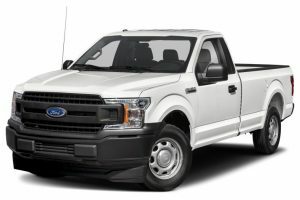 Motor Trend Truck of the Year at a price that is hard to beat! This work truck will be your best work-friend! Hurry down because these are our last 2018s and they won’t last long at this price! *Must finance thru Ford Motor Credit. : ** Must trade in 1995 or newer vehicle. On approved credit. 2 @ this price. VIN: JKF15239, JKD45820. Expires February 28, 2019. 2019 Ford Rangers are here!! The Ranger is back and better than ever — and we have them in stock!